Remember the good ol’ days when you could choose what to display on your office credenza and desk to show a little ‘personality’? A picture of a favorite pet, or of your kids or grandkids, or your significant other. Perhaps you had your favorite sports team paraphernalia proudly displayed on a bookshelf. Maybe a trinket you brought back from your European vacation. And that was that. That was all you shared with your professional colleagues. You controlled what they knew, and chose how much (or little) to reveal about your personal life. …And your personal and professional personas are harder to separate. Privacy and anonymity are harder (if not impossible) to attain. Neatly demarcating your ‘professional brand’ – how business associates, current and potential clients and the public see you – from your wine-sipping, shoes-off, family-loving ‘personal brand’ is not really an option anymore. And the lines are only going to get more blurred and blended. They have grown up with this blended persona as a foregone conclusion, a part of their reality that is not in conflict, but simply an understanding that this is how the world is. They are bringing to the business world a whole new approach of bringing your whole self to work and play, blending the informal and formal, business and personal and balancing work-life and home-life. And the future is in their hands, so the rest of us have to get used to it and get on with it. Just yesterday I had a great conversation with a new colleague, Jeff Marmins, CEO of C7 Group. We talked about this very topic in the context of our conversation about the rapidly increasing adoption rate for in-house organizational social networking tools by business for the purpose of internal change management and process improvement as well as brand and client relationship management. 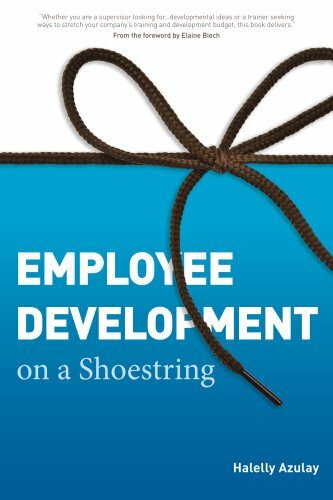 As Jeff shared, and as I wrote about in chapter 12 of my upcoming book, Employee Development on a Shoestring, organizations can use in-house social networking platforms to cut through silos and increase innovation, collaboration, and rapid learning, which translates to faster and better service to clients. (Here’s a cool video of one such platform, Jive Software. ) These kinds of networking platforms can and often do allow interaction with the mainstream, public platforms (such as Facebook, Twitter, YouTube and LinkedIn). When this cross-fertilization occurs, the company’s brand, your professional brand, and your personal brand will be exposed in all their glory. Any ‘veneer’ that you’ve attempted to create so as to shield certain aspects of your identity will be shattered and removed bit by bit, leaving you naked and exposed as a holistic person visible from all angles. It is unavoidable – it’s just a matter of time. Dr. Nicole Cutts, a friend and colleague, is currently experiencing this effect, as a matter of fact. This fellow entrepreneur has built two business brands: one, her ‘organization development consultant and coach’ brand (Cutts Consulting), which allows her to make a living from providing consulting and coaching services to various corporate and government clients. A second, Vision Quest Retreats, is her ‘passion’ brand, an up-and-coming visioning retreat and coaching business catering to women looking to move in the direction of their true life purpose. She has built the brands separately, and has tried to keep them separate (albeit not hidden or secretive). Recently, she has taken a bold and risky (even risqué) approach to marketing her ‘passion’ brand: she started an online networking ‘event’ called ‘Naked Networking’, which was merely a provocative metaphor for shedding veneers and being authentic in all aspects of life. She created clever teaser ‘vlogs’ (video blogs) that depict her in suggestive, almost-naked-but-still-PG-rated garb promoting her networking events on YouTube and Facebook. Well, in our ‘Google-ready’ world, she has experienced the first of many potential ripple effects of her choice. Her two worlds collided when one of her new corporate coaching client googled her only to discover the edgy and suggestive ‘naked networking’ YouTube videos. The new client jumped to judgment and immediately pulled the plug on the business relationship. The ‘naked’ brand of her new coach didn’t fit this client’s conservative, business-suit-wearing coach brand expectations! My colleague has chosen to continue with her transparency and the approach in her new business identity formation, knowing that it will inherently filter out some of her potential corporate clients from choosing to work with her. These are the consequences of a highly networked, transparent, blended persona world. They are also a reality of a world in which ‘longtail’ marketing is possible and endorsed. Are you ready to face the implications of your personal and business personas merging? Have you dealt with similar issues? I’d love to hear about your thoughts and experiences in the comments below!